This was the cake I learned to make many, many years ago. The recipe was given to me by a great aunt and I wrote it down in the back of grandma’s steno pad where she wrote down recipes. I hope you like it. If you follow the directions exactly as given, it will turn out perfect. Note: This cake recipe requires a particular type of tube pan, the kind where the bottom and center tube can be removed. You cannot substitute an angel food pan where the bottom is not removable. The recipe also does not work best in a normal bundt pan, but you can try it. Search for “Loose Bottom Angel Food Pan” or similar on Amazon if you don’t have one. 2. Generously grease (with Crisco) and flour a tube pan whose bottom is lined with wax paper. If you are using a bundt pan, make sure you get plenty of Crisco and flour into the ridges of the pan. 3. Sift the flour once to measure, then sift together the flour, baking powder and salt 3 times. This is important. Don’t skip this step. Set aside. 4. In a clean bowl, cream together the soft butter and the sugar for several minutes on high speed, occasionally scraping down the sides of the bowl with a spatula. 5. Add eggs, one at a time, beating very well after each addition. Each egg should fully disappear before adding the next one. 6. Alternately add one third of the flour and one third of the sour cream, beating well, but on low to medium speed, after each addition until all ingredients are thoroughly mixed. 7. Add the extracts and mix well on load speed until fully incorporated. 8. Spoon or pour batter into cake pan and gently even out any unevenness in the batter. The cake batter will be very thick and won’t really pour. 9. Bake for 1 hour 10 minutes, or until golden brown and a toothpick inserted in the crack that forms during baking comes out clean. Do not open the oven door while cooking until the cake has “crowned” and the large crack has formed in a circle around the top of the cake. 10. Let cool for 15 minutes, then run a sharp knife alone outside of cake so you can lift up the tube and cake and allow to finish cooling completely. If using a bundt pan, invert onto a cooling rack to finish cooling. Don’t let it cool for too long in the bundt pan or it won’t want to come out at all. 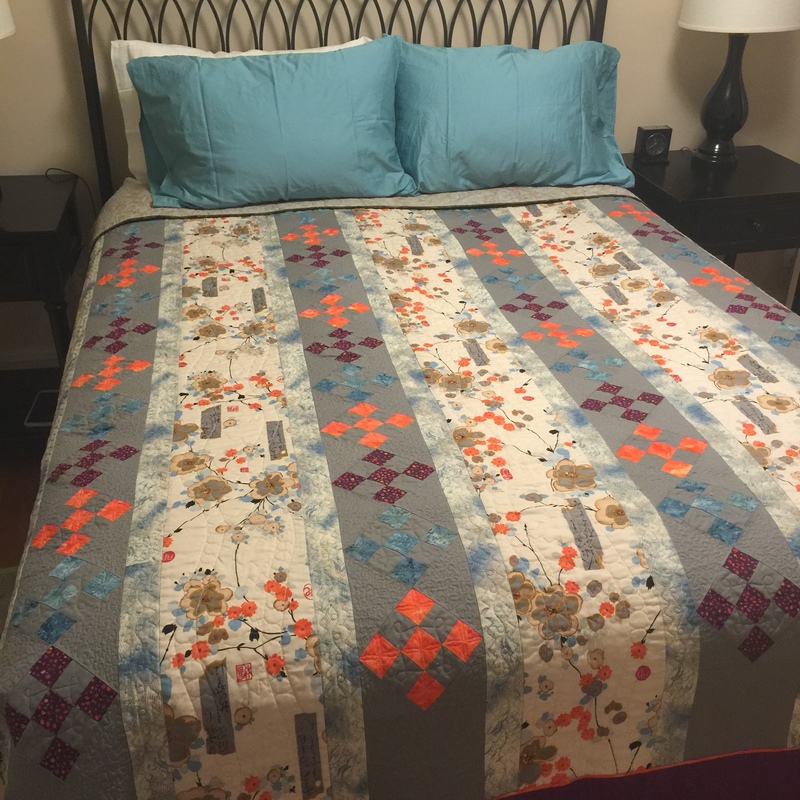 Higher priced/premium linens usually have a higher thread count per inch. Today is definitely a stay at home day, after digging out from yesterday’s snowstorm. 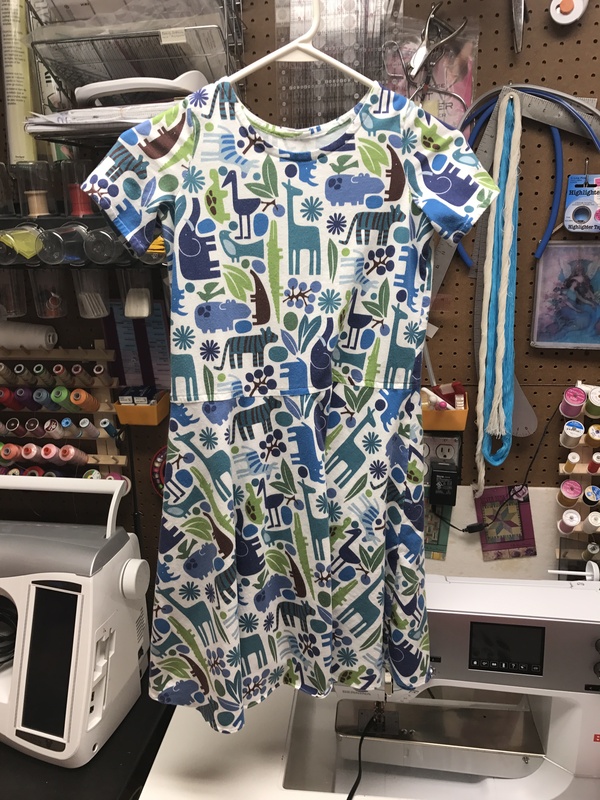 As I was laying in bed trying to get to sleep last night, my head was spinning with all sorts of sewing related ideas after spending all of Friday and Saturday at Bernina Academy learning how to master difficult fabrics. Suddenly, I had a brilliant idea. 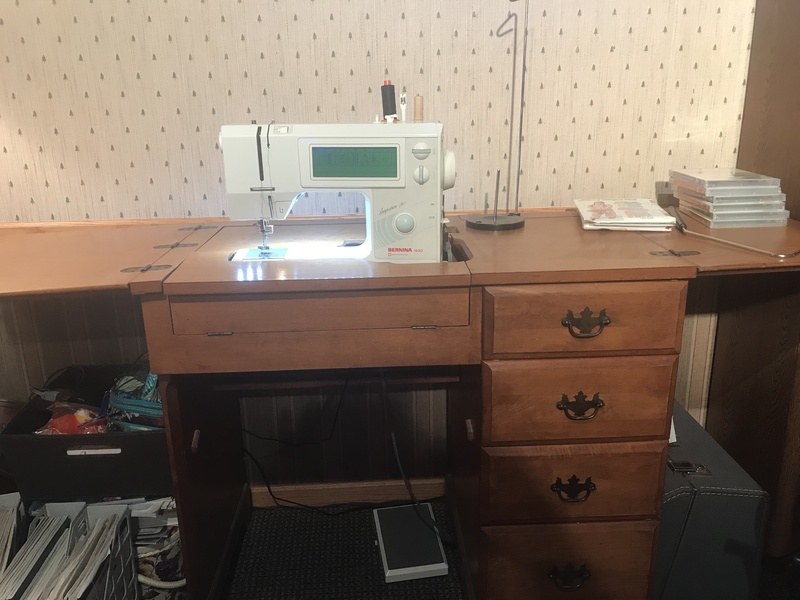 What if the beautiful sewing table I have downstairs in the den, which currently houses that lovely vintage Viking 6020, could be retrofitted to fit my 1630?! Could I make the 1630 fit? Would it take a lot of time? This morning I was downstairs in the basement doing some work on my computer, trying to cool down and relax after so much shoveling, and I decided to try out my idea. I took the 1630 acrylic insert out of my Gidget II table and tried it on the wood sewing desk. An almost perfect fit except for about a half inch in one corner that needed tweaking. I got out my tools and hacksaw, unmounted the Viking 6020 and about a half hour later had my 1630 sitting beautifully in that solid oak desk, with drawers even!, that makes sewing SO (SEW?) much more enjoyable. 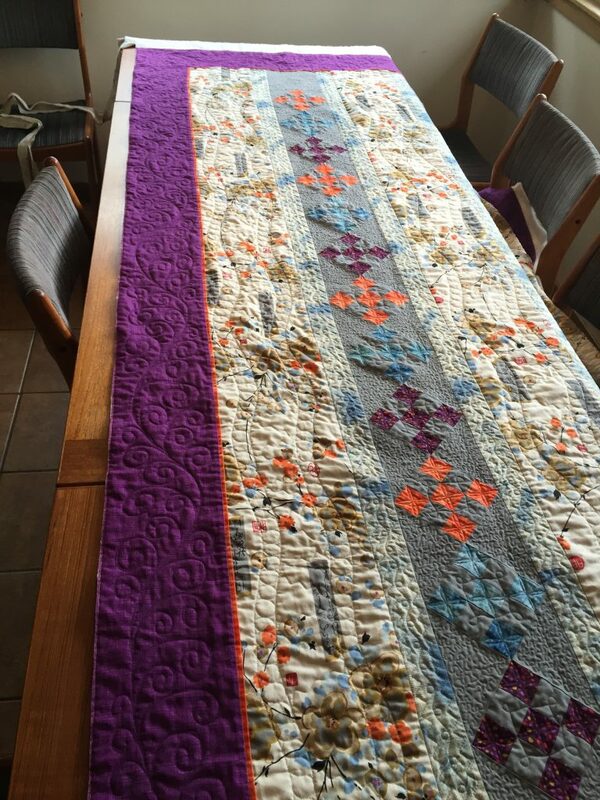 I was so happy I coulda almost peed when it was done! 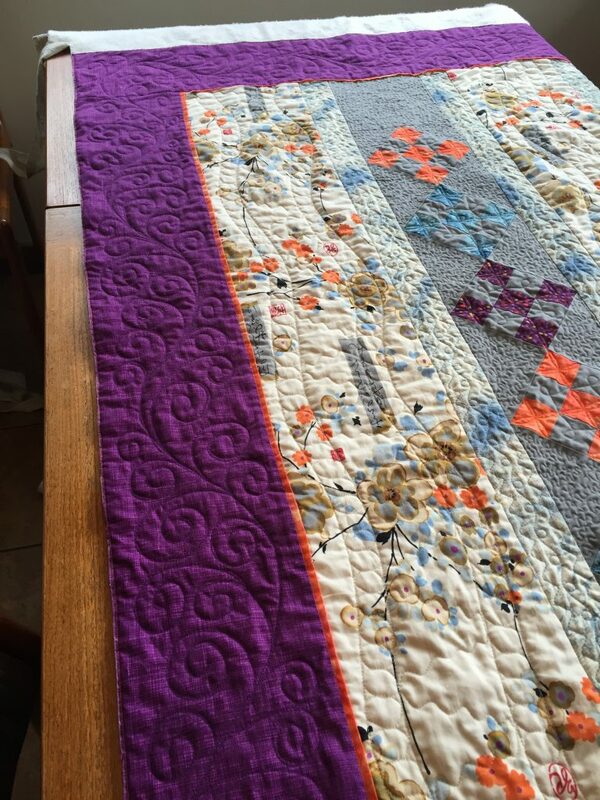 And if you aren’t sure what that means for my sewing room, I will tell you! 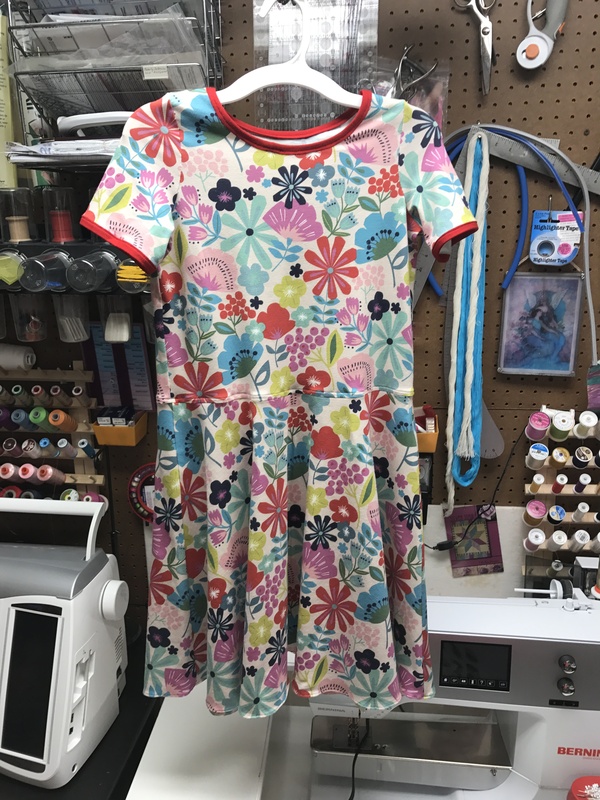 It means I get my sewing workbench back, my serger can be left up permanent right next to my 770, my Brother can be left set up with the embroidery unit attached, and I still get to leave my Pfaff Performance 5 set up in a recessed table as well. I am BEYOND happy at the moment. Why in the world did I not think of this sooner????? 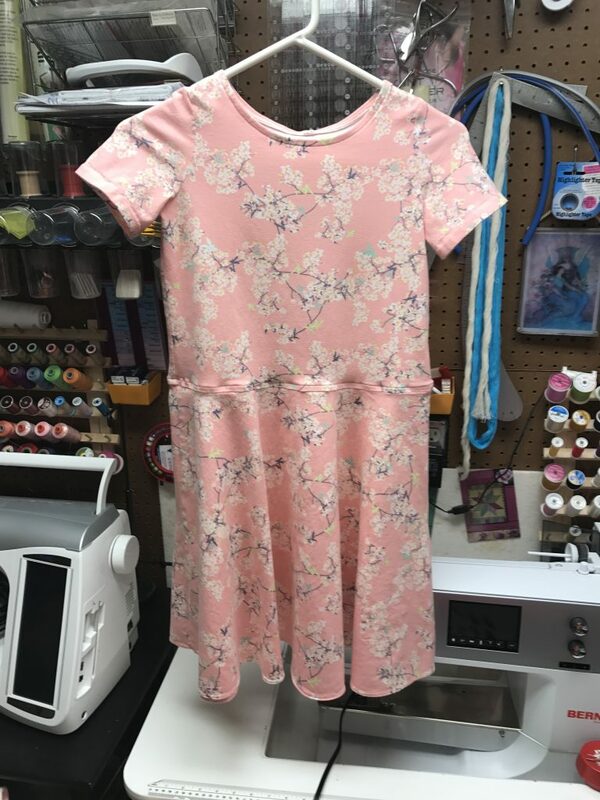 I made a few dresses last month for Miss J. She likes all of them, and decided to wear the one with the red trim to school today. Brown the beef over medium high heat for several minutes, breaking up as it cooks. When no longer pink, add diced onion and minced garlic and sauté until fragrant and onion becomes soft. Season with salt and pepper to taste. It should taste good to you. Dump into the bottom of crock pot. Add all of the remaining ingredients, stir well, cover and cook on low 6-8 hours. If you use a different chili powder, you’re on your own figuring how much is enough, as various brands differ wildly in how hot they are and what other spices they contain. You can substitute your own preference for beans. Add more or less. Try black beans, garbanzo beans or white kidney beans. Or some other combo. You can also add diced bell peppers, canned chipotle chilis, fresh minced chilis that you like, or juj it up however you like. I usually don’t bother. If you aren’t using a crock pot, simmer it on top of the stove for 2-3 hours. 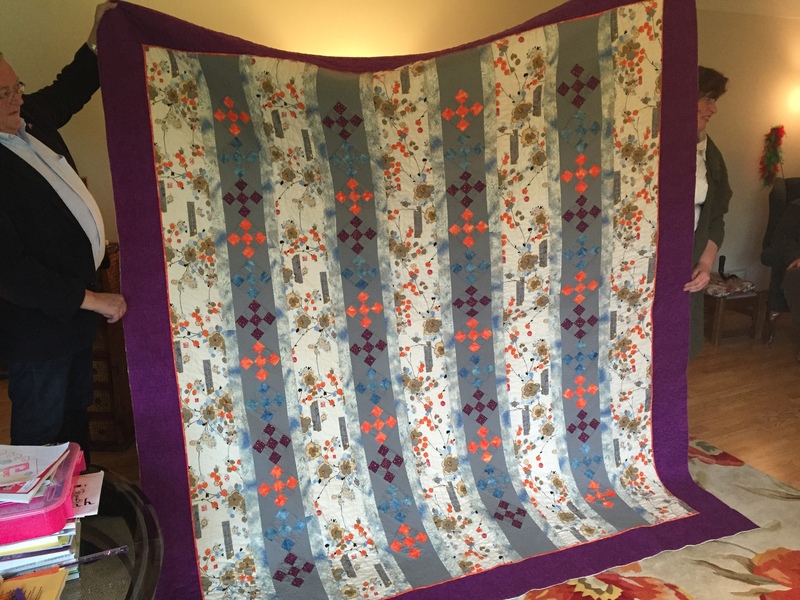 This is the quilt I finished last year for Diana and Jonathan. I didn’t share pictures at the time because I wanted it to be a surprise for them. I am so pleased with the way it turned out. 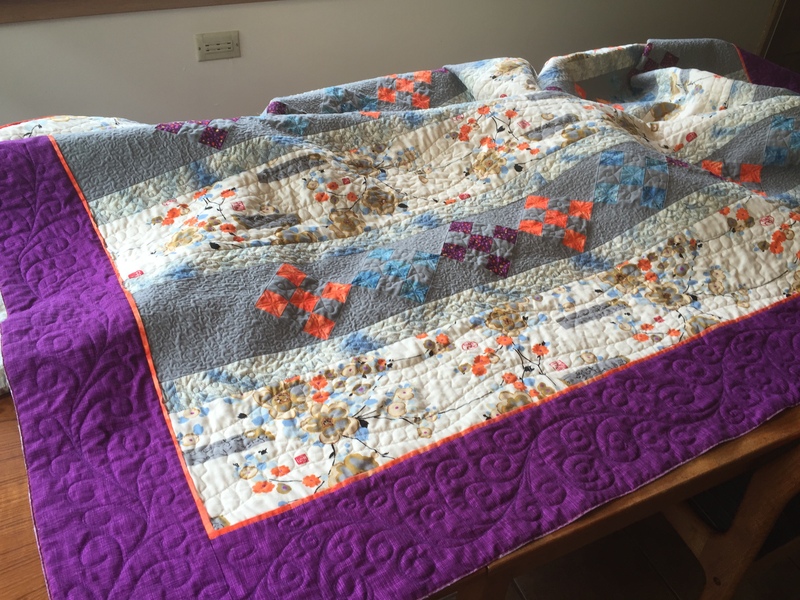 I had so much fun quilting it, even though it took more than 2 months to finish the stitching. I think it came out very well, and they sure seemed to like it! I used to make this until I either lost or threw out the magazine that had the recipe. Luckily, someone on the internet had re-typed it in response to someone’s question about best recipes for the disk. This is my “go-to” recipe for this heavenly creation. I know this isn’t what you asked for, but I had to share. This recipe ran in Saveur magazine in 1997. It is a staple in our house. I think we look forward to it more than the bird itself. it is rich delicious and has none of those green vegetable things. “This creamy noodle dish, named for Italian coloratura Luisa Tetrazzini (1871-1940), is said to have originated in San Francisco. Whether it was first made with turkey or with chicken is debated, however. 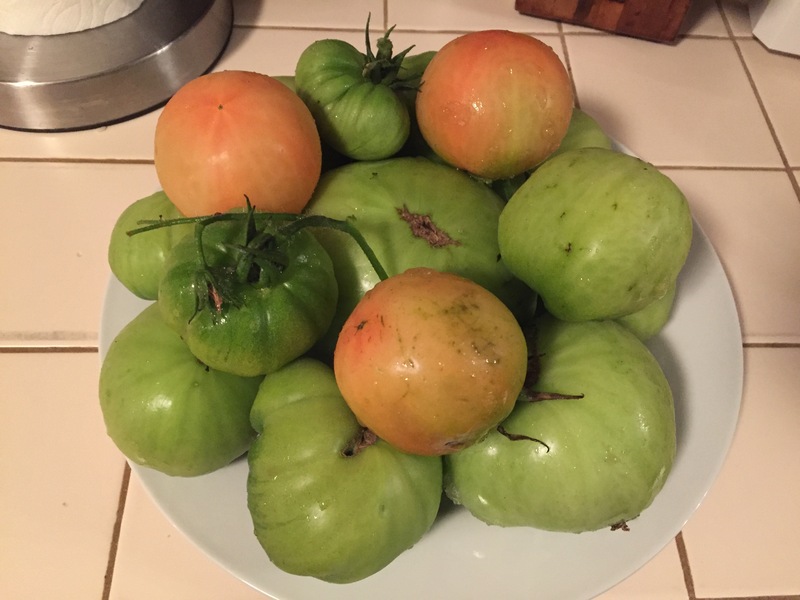 This is Anne Jaindl’s recipe. Preheat oven to 375℉. Melt 2 tbs. butter in a large skillet over medium high heat. Add mushrooms and saute until lightly browned, 3-5 minutes. Add turkey and remove from pan, set aside. Melt remaining 6 tbs. better in same skillet over medium low heat. Sprinkle with flour, season with salt and pepper and cook, stirring, for 2 minutes. Then gradually add stock, whisking constantly. Increase heat to medium and simmer until sauce thickens, about 7 minutes. Add cream, sherry and nutmeg, adjust seasoning with salt and pepper. 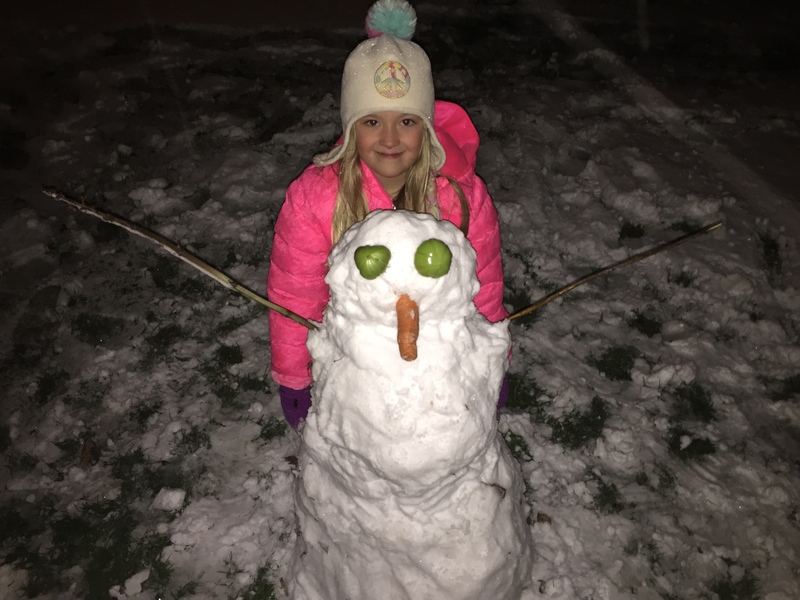 Have you ever built a snow man?